The 'don't miss' event is "Picnic in the Park", sponsored by the City of Savannah's Cultural Affairs Department. Attendance is free and open to the public. **On seeing this blog, @VisitSavannah tweeted: "@RomanticInns ...great idea for a romantic weekend in Savannah with the picnic! Maybe pick up goodies from BT Byrd's? So good!" Did you see this? Washington Post and AP gave Savannah a nice shout out today! "History, charming streetscapes and live oaks in two Southern cities, Savannah and Charleston"
The Savannah Philharmonic will be providing the music. The annual "Picnic in the Park" tradition is an afternoon and evening lawn and garden party on the green. It's the highly anticipated fall, family-friendly event when the whole community and strangers are invited. All our Romantic Inns are nearby, dotted in the National Landmark Historic District. Two of our member inns -- Forsyth Park Inn and Whitaker Huntingdon Inn -- overlook Forsyth Park. Catherine Ward House Inn is only two houses away from the park. More of our historic Savannah inns are within a two or 3 block walk. All the rest are within a 10-minute walk through Savannah's beautiful garden and architectural landscapes. We'll make all the arrangement for your picnic readiness. Parking is impossible. We do not advise driving to the event. Guests can keep their prized downtown parking at the inns, taking full advantage of their free parking amenity. Savannah Pedi-cab (tips only; 912-232-7900), Royal Bike Taxi (charged by the block; 912-341-3944), and Savannah Hoppers ($3/person; 912-414-2943) are inexpensive shuttles. Biking is another fun option. Ride free with the DOT, Savannah's fare-free Downtown Transportation System. A cautionary note: Chatham Area Transit (CAT) advised us today that only the normal DOT shuttle schedules will be running on the picnic date. Attendance is free. Picnics are your choice to bring. Each person attending brings their preferred picnic and beverages for a picnic supper, a Trout Picnic, a Cantonese Picnic, an Elegant Champagne Picnic, a Barbecue Picnic ... you get the idea. No grills and no on-site cooking. Be prepared for darkness with flashlights or battery candles. Watch the weather reports and be prepared for "fickleness of the weather", as The Modern Hostess, Christine Terhune Herrick wrote in 1905. Expect to see elegant to casual hampers to elaborate outdoor receptions on the green. It's a competitive evening on the green when prizes are given for the best themed picnic. 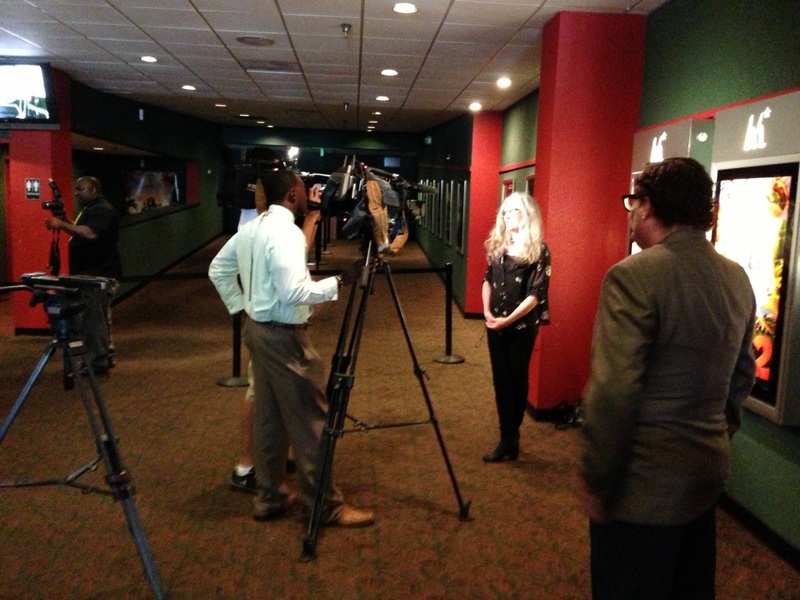 For the October 2013 event the theme is "Celebrate the Arts". No one is out of place, even if you bring yourself only! A blanket, chair, beverage, and flashlight would be our minimum recommendation for this event, easily dubbed 'splendor in the grass' every fall! You're sure to love the Forsyth Park Arboretum, which acts as a living showcase of Savannah's flourishing and diverse urban forest. Over 50 species of trees are in the park where you may enjoy this annual Savannah tradition -- "Picnic in the Park". Information is below to register for the picnic contest. 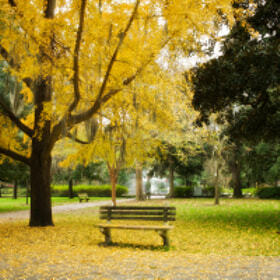 More ideas from VisitSavannah are here: Picnicking like a true Savannahian. Romantic Inns will make it easy to get away last minute. Simply send one email that will be routed to all member inns via this contact link. Stay in touch via Twitter @RomanticInns to learn more from our Romantic Inns' innkeepers in America’s most beautiful city -- Savannah, Georgia USA. "Picnic in the Park celebrates National Arts and Humanities month with the theme "Celebrate the Arts". The Savannah tradition will take place in Forsyth Park on Sunday, October 6, 2013 featuring a performance by the Savannah Philharmonic, under the baton of artistic director and conductor Peter Shannon. As always, the event will feature an evening of live music, family, and picnics big and small! Picnickers are encouraged to design a creative picnic spread that is inspired by all forms of the arts; music, theater, dance, film, photography, architecture, visual arts, and literature. Those who enter their spread in the picnic contest will be eligible to win an array of prizes. For more information, please contact Erin Seals, Marketing Coordinator for City of Savannah at eseals@savannahga.gov or call 912-651-6417. Picnic in the Park is presented by the City of Savannah and sponsored by Parker's with Media sponsor WSAV. The picnic contest is sponsored by the Savannah Area of REALTORS. Picnic registration opens 4 p.m.
Savannah Philharmonic concert 7:15 p.m. Romantic Inns' B&B Group Spotlights Five Hot New #Savannah Happenings ... Worth the Trip! SAVANNAH Georgia (September 16, 2013) -- Fast breaking Savannah news is counter to "southern slow", the beloved description and reputation of Georgia's First City -- Savannah, Georgia USA. A champion at finesse, the popular international city by the sea is no slacker and we, the public are so pleased! at Savannah, Georgia USA opening. We hope not only Savannah travelers, but travel editors and USA adventurers will check these five late-breaking news highlights. Answering the question of "What's new in Savannah?" these are only snippets of what helps to hold Savannah high in USA tourism ratings and a beloved place to visit in The American South. #1. Affordable airfares. JetBlue Airways announces service to Savannah! Just a few days ago that was teasing news tweeted from JetBlue president and CEO, David J. Barger. Today, it's official! JetBlue announces its direct route new service from JFK in New York City to Savannah, plus a bonus of special offers. A $79 special offer is found at this link -- JFK to SAV -- New York City to Savannah, beginning February 13, 2014. The Empire State of the South [Georgia] gets more direct routes to and from the Empire State of the North [New York] ... and beyond! with Jesse Blanco in October 2013. #2. Inns stay in the News. Three members of Romantic Inns in Savannah, Georgia, champion big exposure for their historic inns in October 2013 and for this popular southern city only 18 miles inland from the Atlantic Ocean. Watch for Presidents' Quarters Inn, Green Palm Inn, and Zeigler House Inn on Wheel of Fortune, beginning early October 2013! Savannah gets the spotlight for Fall with enticements to visit one of America's most haunted cities. Sixth Sense Haunted Tours gets a nod as well. Mid October, Savannah's own Eat It and Like Like with Jesse Blanco features Zeigler House Inn's farm-to-table hors d'oeuvres, the bed and breakfast inn's sideboard of afternoon desserts, and the traveling public's swelling interest to choose Savannah B&Bs and popular historic inns for more "local" and personal Savannah lodging. #4. Fresh food options. Savannah College of Art and Design announces two fun, healthy and fast food spots -- a new cafe near Tourist Information Center, plus Gryphon's breakfast on the run. The new Cafe' 78 is located on Martin Luther King Jr. Boulevard, near the Savannah Tourist Information Center. Of the new eatery SCAD.edu writes, "Located inside Ex Libris Bookstore, this eatery features handmade breakfast and lunch dishes that incorporate natural ingredients, served in a relaxed and stylish atmosphere." Opens 7:30 a.m. Monday - Friday, 11:00 a.m. Saturday and Sunday. On Twitter @WorkatSCAD announced today, "Running late? 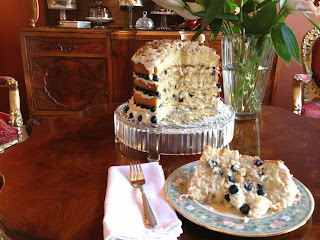 Get your grab-and-go breakfasts from Gryphon Tea Room, starting today 7:30-10am!!" To verify this is open to the public, they replied, "Gryphon Tea Room grab-and-go breakfast is open to the public 7:30-10am!! Lunch begins at 11am. We hope to see you soon!" A re-purposed pharmacy, the library-esque Gryphon is located on Madison Square across the street from ShopSCAD. the National Historic Landmark District. #5. Architecture. 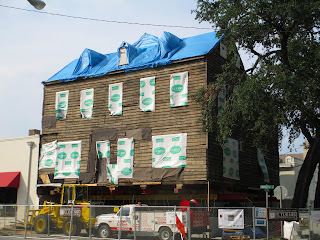 Stay tuned, keep watch, and keep applauding the extensive historic home renovation of John Berrien House, circa 1791, located on Broughton Street at Habersham Steet. Chief architect is Gerry Cowart of Cowart Group Architects in Savannah. Significant architectural genius in workmanship is being uncovered, including ballast stones in the house footers, and craftsmanship that resembles fine furniture making in the building's joints. Follow Cowart Group Architects on Facebook for regular updates on the masterful restoration of this18th century statesman's home, one of the last in Savannah. The property is protected under the National Trust for Historic Preservation. Historic Savannah Foundation has championed saving the historic jewel. "The Berrien House is a federal style building in Savannah built circa 1800 for Revolutionary War officer Major John Berrien. Located on Savannah’s main commercial street, the Berrien House has been vacant for more than twenty years [as of 2009] as several demolition permits have been sought and denied. Lack of maintenance and failed rehabilitation efforts have left the severely deteriorated building at risk of demolition by neglect. Historic Savannah Foundation holds a preservation easement on the house and has invested $70,000 in roofing and structural repairs and has established a task force to seek strategies for the rehabilitation of this important building. A mortgage foreclosure has left the house in the ownership of a bank that is currently exploring and evaluating the economic feasibility of the building’s rehabilitation." [Source: The Georgia Trust for Historic Preservation Announces Its 2009 List of State's 10 'Places in Peril', The Georgia Trust for Historic Preservation. More Savannah architecture and coastal scenery get national attention. On August 23, 2013, the movie, Savannah opened in many USA cities. The new movie showcases the coastal city's scenic beauty, the tidewater duck hunters' adventures in the Old South, and a gentleman's side of Savannah ... laced with romantic drama. 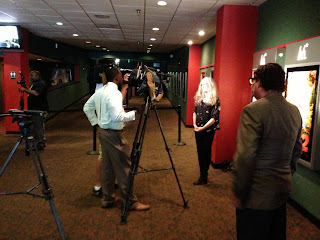 The DVD release of Savannah the movie is set for September 24, 2013. Come for a visit. Let Savannah Romance You! ™ sooner rather than later. Experience what's new and admired in Georgia's First City -- still populated by some of the most friendly people in America, beginning in our Romantic Inns in Savannah. You'll find us conveniently dotted throughout the National Historic Landmark District. Wouldn't you love to experience what's endearing in Savannah, inside and out? Let us know how we might help any time. Follow us on Twitter @RomanticInns, Facebook and Pinterest. SAVANNAH Georgia (September 3, 2013) - Foodies would enjoy crisscrossing the Savannah historic district simply to indulge in diverse B&B breakfasts. 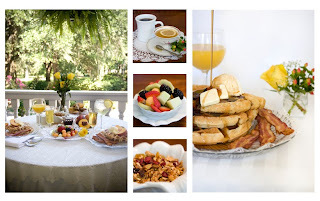 Below is a visual sampling of breakfasts in downtown Savannah served by the largest to the smallest of our Romantic Inns -- the historic places, welcoming travelers to indulge in southern hospitality daily in The Deep South. 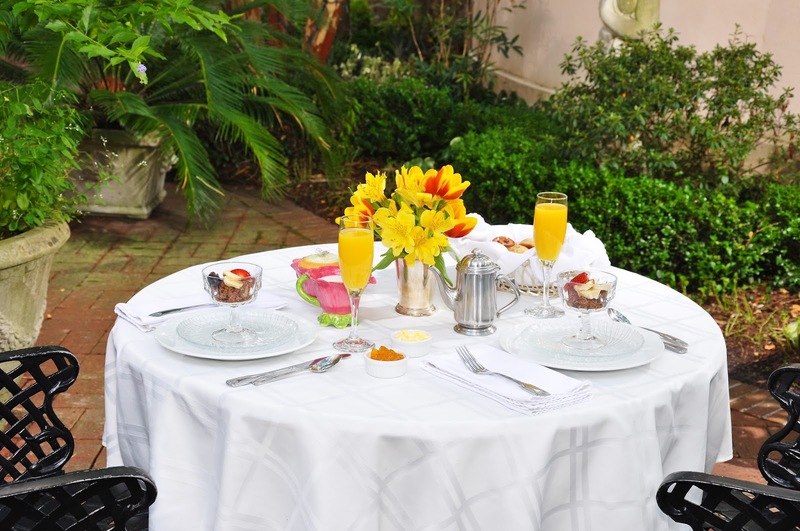 FORSYTH PARK INN: "The Inn keeper prepared the most delicious breakfast and when finished sat outside with us and shared ideas and not to miss Savannah sites." -- via TripAdvisor.com review. GREEN PALM INN: "Breakfasts were delicious, as were the hor d'oeuvres, cookies, and wine." -- via TripAdvisor.com review. Holiday breakfasts are as delightful daily! ZEIGLER HOUSE INN: "The atmosphere is exceptionally warm and friendly and Jackie the owner cannot do enough to please you from the fresh baked gems every day to great insights as to where to go for sightseeing and eating." via TripAdvisor.com review. fresh fruit and more in suite. Each of the Romantic Inns' members will clarify inclusive amenities. In our culinary-centric southern city, there are top-rated breakfast places where the locals and tourists choose to go. For example, the chic Goose Feathers Café and Bakery is a top-choice in downtown Savannah for fresh baked bagels and croissants, organic yogurt with honey and fresh fruit, and premium beverages. The popular Clary’s Café is a nostalgic local diner, made famous in “Midnight in the Garden of Good and Evil”. The Breakfast Club at Tybee Island was so tasty that they catered John F. Kennedy, Jr.’s wedding on Cumberland Island. The invitation from Back in the Day Bakery is to “slow down and enjoy the sweet life”. Boomers will adore the nostalgic reminders in this breakfast spot for time travel to the 1950s, complete with artisan breads, jams, and waitresses in head scarfs. 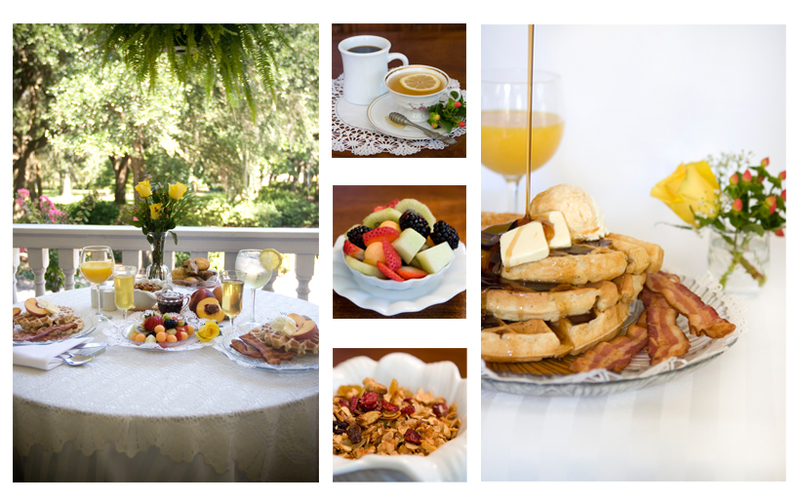 As you can tell, Romantic Inns offer more than a wink at ways to savor the best Savannah breakfasts. Our Romantic Inns are your advance and back up teams for your Savannah trip. 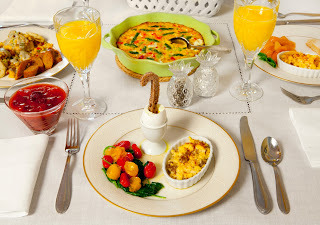 You're sure to enjoy a Savannah breakfast … whether your romantic inn is serving up inclusive, unique southern breakfasts daily or your Romantic Inn host is pulling out a treasure of spot-on breakfast places to recommend for a memorable breakfast out on the town! We make it easy. Simply send one email that will be routed to all member inns via this contact link. Stay in touch via Twitter @RomanticInns and check the Romantic Inns Printerest boards for more romantic Savannah ideas to max out your stay in America’s most beautiful city - Savannah, Georgia. Get away and "Let Savannah romance you! ", beginning with Romantic Inns' lodging.